It’s officially our favorite time of the year — Thanksgiving season! While many of us will attend family gatherings, let’s not forget about the awesomeness that is Friendsgiving. 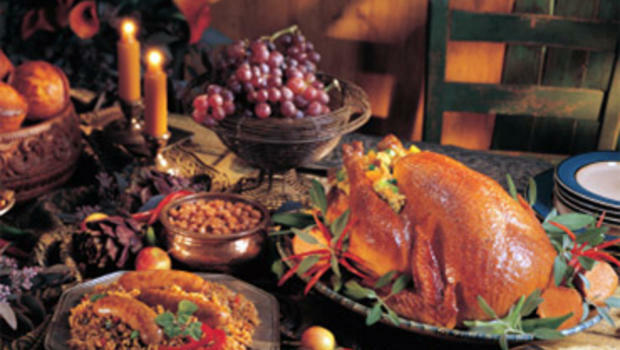 For those who don’t know, Friendsgiving is a relatively new holiday celebration (the term first emerged in 2007) and has become a much-anticipated part of many of our lives. Here’s how it works: typically, the host takes care of the centerpiece (check out these 25 Amazing and Meat-Free Thanksgiving Main Dishes if you’re hosting Friendsgiving) while the rest of the guests take care of the side dishes. So, without further ado, here are 15 awesome, easy, and budget-friendly sides to bring to Friendsgiving. Read more. Be sure to be specific about what you want. Otherwise, you could end up with multiple pumpkin pies, warns Robin and Jeffrey Selden, managing partners at Marcia Selden Catering & Events. Read more. Are you hosting or attending a Friendsgiving this weekend? Maybe you’re pumped about the upcoming food-focused festivity, or maybe you’re worried about what to make. Whatever the case may be, the fact still remains that a dish (or several) will need to be prepared. And even if you aren’t a gourmet recipe-making goddess, a bowl of saran-wrapped Idaho Spuds isn’t exactly going to do the trick either. Read more. If you’ve ever had the pleasure of paying attention to what Chrissy Teigen does on the world wide web, you’d notice that she has a strong affinity for food, dogs, her husband, and her adorable baby, Luna. Yesterday, all those things that we love by proxy were wrapped up into a holiday: Friendsgiving. Yep, it seems the New York Times best-selling cook book author hosted a pre-T day bash with her besties. Guess our invite got lost in the mail! Read more. We love Thanksgiving—of course we do. Promise. But Friendsgiving is an entirely different story. Anything goes at this laid-back cousin to Turkey Day. In fact, turn off the oven—you don’t even have to make a turkey. On board? We thought so. Ready to host? Read on.